The Women's Sport Leadership Academy (WSLA) is dedicated to developing tomorrow's leaders of sport. 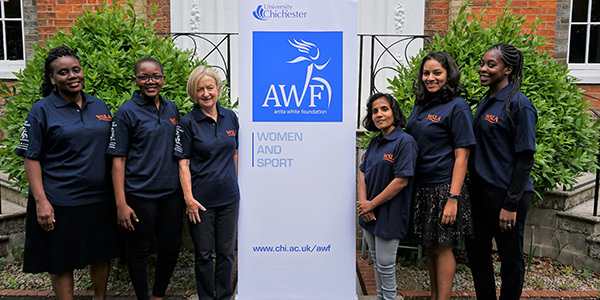 WSLA is a partnership between the Anita White Foundation (AWF), Females Achieving Brilliance (FAB) and the University of Chichester (UoC) and provides unique development opportunities for women leaders from around the world to step up, take the lead and make an impact. 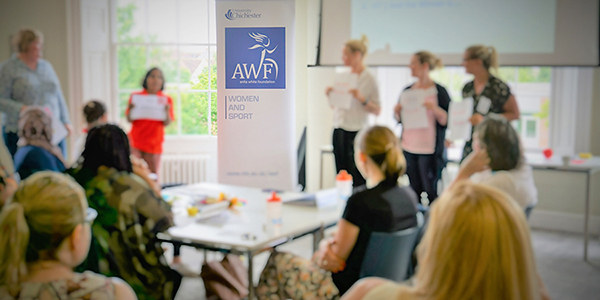 Our aim for WSLA 2019 is to bring together another 36 outstanding women leaders from around the world and support them to fulfil their leadership potential and enhance their understanding of the global women and sport movement. Have good written and spoken English (min IELTS 6.5). Please note that no translation service will be provided. Acquired access to the international WSLA Alumni network and extended their own network. Providing future direction for an organisation using resources efficiently and effectively to achieve the goals of the organisation. Enabling creativity to flourish in people, in how they analyse problems and identify opportunities for innovative solutions. Ensuring there is a culture of continuous personal improvement which people to maximize their potential whilst achieving goals and targets that meet the needs of the business. Planning and taking responsibility for your own success; managing your own emotions in challenging circumstances. Ensuring that messages are understood by an audience; working effectively with internal and external people to ensure that the needs of the business are met. We know that investing in people is of the utmost importance and that time and money spent in learning and development must pay off. We fully recognise that changes in behaviour must be embedded and sustained over time and ensuring that people take responsibility for their own self-sustained learning is at the heart of everything we do. The week-long programme consists of several elements all of which are essential for the critical learning and development that will take place during the WSLA residential week. These are an integral part of the learning process and are designed to meet the needs of participants. They have clear learning outcomes and are tailored to maximise learning; they will be challenging, constructive and highly interactive. Each participant will produce a Personal Development Plan setting goals on leadership behaviours, career strategies, future opportunities and to consolidate learning. Consist of small groups of participants who meet regularly throughout the residential week. their aim is to help you reflect on learning and raise issues and concerns, discuss hot topics, provide support and encouragement and they play a key role in the evaluation of the week. These provide opportunities for you to define, frame and communicate your key challenges and receive support from your colleague. The sessions allow you to have time to reflect on your experiences and to explore ways of doing things differently. A range of physical activities have been designed to indulge our love of sport, to live our principle of an active lifestyle, to provide a physical challenge, to promote team building, and... to have fun! 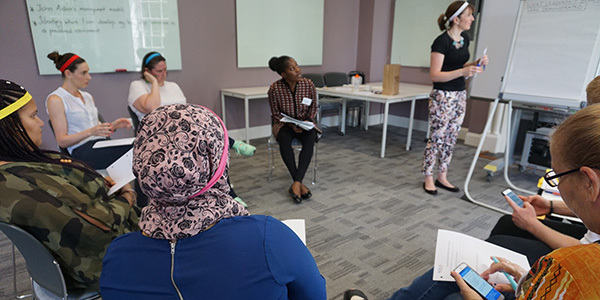 The programme is led by Pauline Harrison and Lucy Faulkner alongside a team of experienced facilitators, many of whom are WSLA graduates, to inspire you as well as share their own experiences. This year we will also be joined by some trainee International Facilitators selected from the WSLA alumni network. Guest speakers will identify what leadership means to them and what motivates and challenges them, as well as providing top tips for participants. WSLA 2019 runs from 9.00am on Monday 17 June until 1.30pm on Friday 21 June. Please note we expect all participants to stay to the end of the programme on the Friday. We are hosting an evening meal on Sunday 16 June from 6.30pm - 7.00pm followed by a networking session. This provides an opportunity for you to meet your fellow participants and become more familiar with the campus. Whilst this is not a compulsory part of the WSLA residential week, we encourage as many participants as possible to join us for this. The programme will be delivered in The Dome on the Bognor Regis Campus of the University of Chichester, PO21 1HR. The accommodation is in student halls of residence. Bedrooms are single rooms with private shower, lavatory and washbasin. There is a shared kitchen area for every six people. Towels and basic toiletries are supplied free of charge along with tea and coffee making facilities. Hairdryers can be borrowed for the week if a small deposit is paid to the accommodation reception. As WSLA 2019 begins at 9.00am on Monday 17 June 2019, accommodation and an evening meal on Sunday 16 June is included in the pricing. Please note that additional accommodation, subject to availability, can be purchased to cover any requirements prior to Sunday 16th or following the residential week. The cost to attend WSLA varies according to where your organisation is based. We use the World Bank Table of Economies by Category to structure the pricing. We will arrange an invoice and provide details of how to pay in GBP (£) Sterling when places are allocated. Full payment will be due by March 2019. Our cancellation policy will be notified to participants in the acceptance letter. Click here to view the World Bank Table. Participants are responsible for paying their own travel costs to and from the venue. Each year, WSLA is usually able to offer a few scholarships for registration fees. 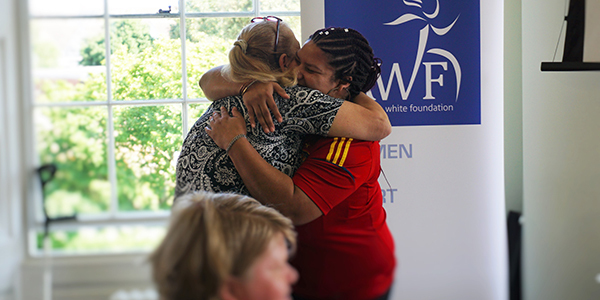 The Anita White Foundation (AWF) will also make limited travel grants available to accepted applicants. If you wish to be considered for one of these please provide some information in the application form about your personal circumstances and how a scholarship and/or a travel grant is important to you. Please note that this does not form part of the selection process for WSLA. Information from participants helps us to plan how much fundraising we need to do so we can support as many women as possible to attend WSLA. Our priority for scholarships or travel grants has tended to be Band B and C countries, but not exclusively. All interested women are asked to submit a completed application form, a current curriculum vitae/resume and an endorsement from your employer. You can do this by completing the electronic application form. The application deadline is Tuesday 15 January 2019.